As-built drafting service is one of our specialties which we provide with 100% accuracy, meeting the specific requirements of our client. For over a decade, we have been offering as-built drawings to general contractors, retailers, architects, homeowners, and builders. Advenser caters the demands for as-built services from clients all over the world from residential, offices, leisure, education, healthcare, commercial and government sectors. As-built drawings consist of completed building information model and the hardcopy drawing which incorporates the modifications during the construction phase, changes made as per the field request, shop drawings and contractor designs required during the construction. The documentation of as-built drawings generally takes place during or post-installation. In the midst of construction process, workers may run into several unforeseen circumstances which require installing few items contrarily from the originally intended plan. These issues are generally tackled at the site itself and the new changes are marked in the plan or point cloud is forwarded to us, after installation. After the installation process, the client forwards the red markups and we provide the as-built conditions markup to our client. As per the requirement, we provide as-built drawing or/and building information modeling. For this task, our team of engineers uses Revit, AutoCAD, AutoCAD MEP, AutoCAD architecture and Sketchup. Another scenario is when the client forwards us the point cloud data and we export these set of point cloud data into Revit (BIM platform). It helps us to create as-built building information model with accuracy depicting pipes, slabs, terrain, walls, roof planes and vegetation in and around the building. As per the client’s requirement, we provide the as-built building information model and/or as-built drawing. 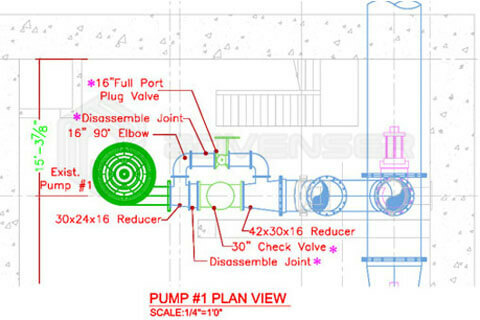 The final set of drawing forwarded to the client after the completion of the project is called as-built drawing. This drawing demonstrates the existing site conditions right after the installation or erection. 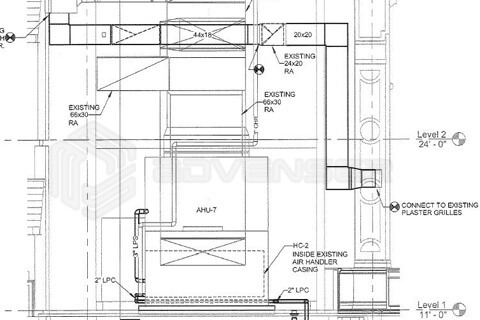 We include all the modifications in the drawing that was made to the original construction. As-built drawing provided by us assists our client to compare the actual existing construction to the design stage condition. We have a specialized team of engineers for the task. Understands the aim, objectives and specific requirements of our clients. No sacrifice in quality or accuracy. System driven “Best Project Practice” (BPP) product process. 10+ years’ experience offering the service in the industry. Extensive experience from over 2,000 delivered projects. Capacity to handle any sophisticated project or any durations. Saves several hours of billing when compared with fly-by-night companies. Recurring clients: our testimonials speak out loud. Stability and flexibility of resources. Comprehensive CAD and BIM solution provider. Specialized teams for Architectural, Structural, MEP, and Façade.